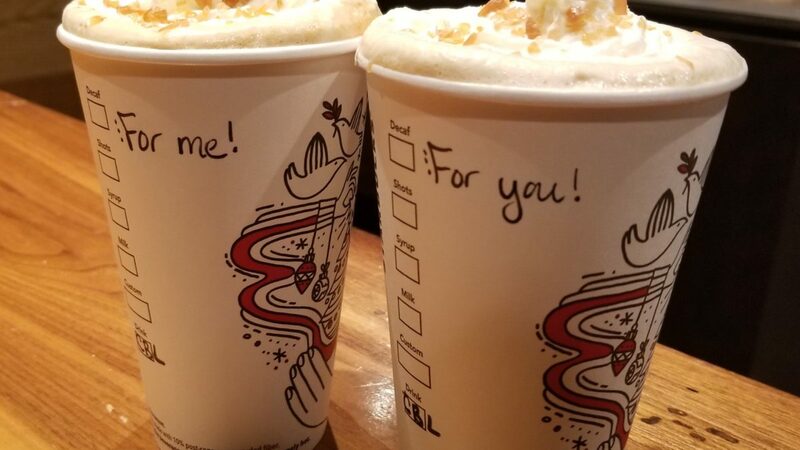 Now is the perfect time to go to Starbucks with a friend. 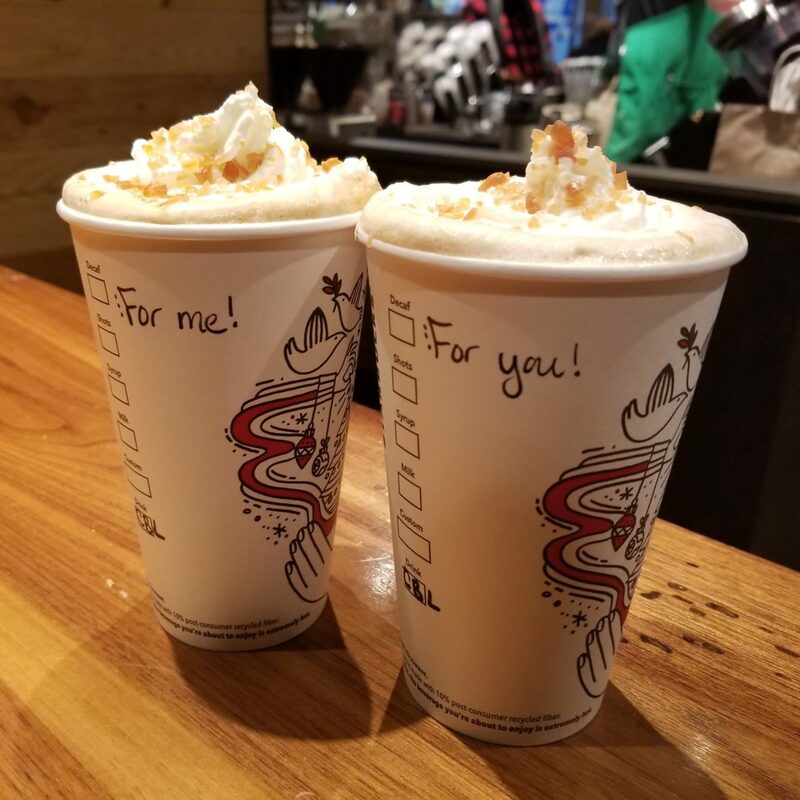 You can buy one holiday drink and get one free! Your drink can be hot or iced and any size. Feel free to find ways to customize your drink – you can definitely add shots, add extra syrup flavors (or ask for fewer pumps of syrup), or otherwise that you normally like to make your drink your perfect for you. 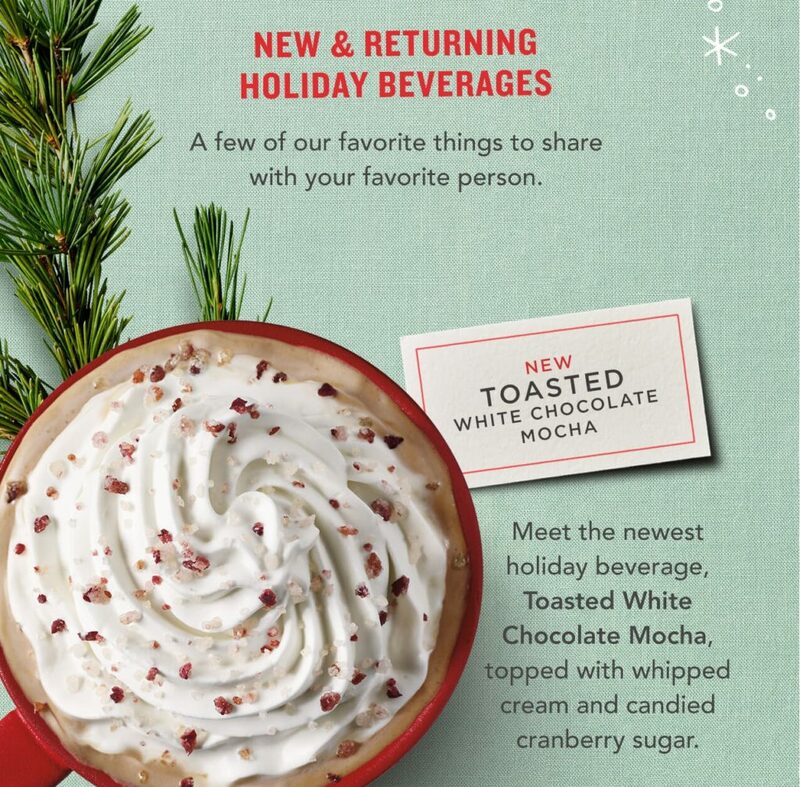 Look for this offer at participating Starbucks in the United States and Canada. As part of buy one, get one free, cake pops are also buy one get one free! During the Share Event, buy 2 cake pops for the price of one! The buy one, get one free offer for both the holiday beverages and cake pops is available between 2 PM and 5 PM today through the November 13, 2017. “Participating” Starbucks usually means that not all licensed locations participate in the event, and you won’t find this promotion at Starbucks which are just “We Proudly Brew” locations. If possible, try to find a company-operated Starbucks location. A look at 1912 Pike Place - The first Starbucks. The Starbucks Black Apron: What is a Coffee Master? I tried the Toasted White Chocolate Mocha BC it was A BOGO. Their marketing definitely works!! I was really disappointed because my friend wanted a holiday drink but i just wanted my usual soy misto and that wasn’t included in the promo! I don’t like anything in my coffee but a little hot soy milk so i really didn’t want to change my order either.